Home/Blog/Why Does My Furnace Smell Like Gas? There’s nothing more welcoming after a cold day than a warm home. We have our furnaces to thank for battling the wilds of winter to keep us safe and comfortable. 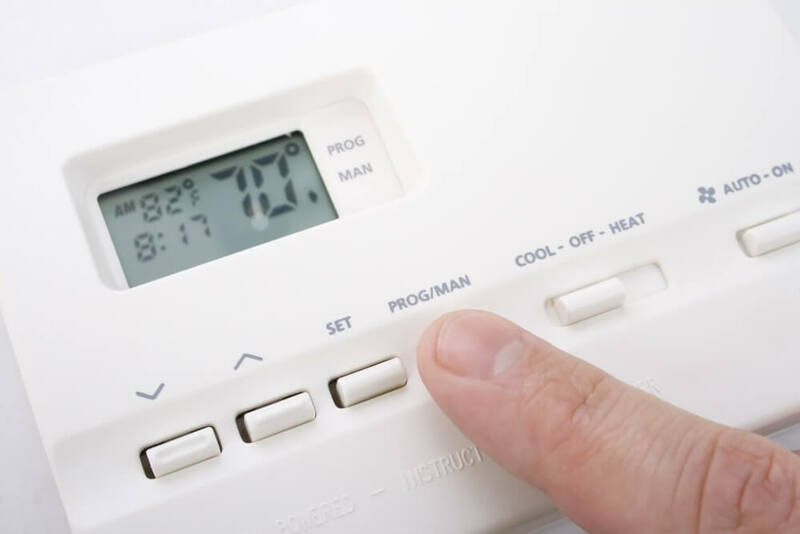 Unfortunately, the modern furnace is made of up of many different components that can go into disrepair, leading to some funny symptoms that will make you think twice about what your furnace is up to. One odd behavior that can instantly cause concern in a home is the smell of gas when the furnace is on or activated. Many of us are trained to associate the smell of gas with danger and for a good reason, as gas leaks always have the potential to be hazardous. So, if your furnace kicks on and you smell gas, what do you do? Let’s review some of the common reasons for a gas smell, as well as what you should do if a gas smell hits your living room. So, Why Does My Furnace Smell Like Gas? If you’re reading this article as your first go-to because you smell gas, pick up the phone and dial your local gas company immediately. Shut off all gas lines. All smells of gas should be treated with caution, meaning they should be checked ASAP. Call a 24/7 service, don’t wait. A gas smell may result from a few different problems, but the problem can almost always be traced back to the heat exchanger. A surefire way to check if it’s the heat exchanger is to check if the smell is issuing from the registers of your HVAC, but if the smell is that obvious, you should have already shut down your lines. When you smell gas, the cause is not important, but the response is. A gas smell may smell like rotten eggs, fireworks, or the classical gas smell that comes from the additives to make otherwise odorless gasses detectible. You could be smelling natural gas; you could be smelling propane. Whether you’re smelling one gas or the other is not important, any gas leak can cause noxious fumes in the air, as well as an accelerated fire risk. If you smell gas, call your gas company, and shut your lines off. The smell of gas is always a scary one and gas leaks do come with risks, but you’ll be better off if you take immediate action. Call your local gas company, and attempt to shut off your gas lines. The leak is likely caused by a cracked or faulty heat exchanger, but your first concern is the gas. Get that fixed first and then follow up with your local HVAC service.